Conversations on personal financial practices are sensitive and many times difficult for researchers to actualize in the field. As many researchers have documented, personal financial practices are private. Getting people to talk about them often times requires great effort. Adding culture to these conversations creates a further challenge that seems almost insurmountable. Yet, even with all of these challenges, it is essential to understand how culture influences mobile money practices if appropriate policies and programs are to be put in place. 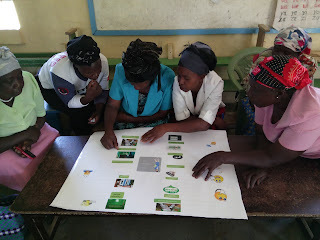 Our IMTFI sponsored research involves determining the influence of mobile money on women micro-entrepreneurs’ control of productive resources. In many communities in the developing world, control of productive resources is a subject deeply entrenched in cultural practices rooted in money and land as the preserve of men. As we are realizing through our research, control also depends on the context of resource use. In this era of technological advancements, a slight change in external factors surrounding productive resources alters significantly the way control of these resources is experienced by those involved. For example, the use of mobile money significantly impacts the dynamics of resource control. However, this depends largely on the type of resource (e.g. money, land, information) under consideration and the importance attached to it by the people concerned. Money is probably the most highly rated productive resource in terms of its importance by our target group of women micro-entrepreneurs. How this resource is controlled and managed has a direct impact on their business performance. To get women micro-entrepreneurs conversing on these matters, we designed two charts: a static one (Fig. 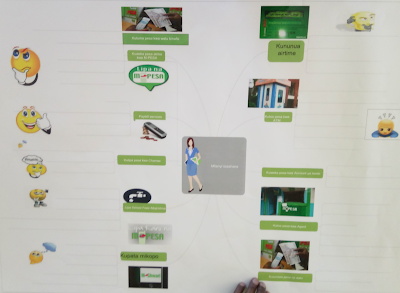 1) which we used to prompt participants to think through their financial practices (without intervention on our part) and an interactive one (Fig. 3) which required participants to perform some activities. Our approach was inspired by the IMTFI Fellows workshop held at the IMTFI Insight and Impact Conference on April 22, 2016 and by object-centered interview methodologies featured in IMTFI’s Consumer Finance Research Methods Toolkit (the toolkit is free and available for download here). The Mobile Money Services Chart (Fig. 1) aimed to stimulate conversations on mobile money services utilization at personal, family and business levels. The participants were expected to view a representation of a mobile money service or product on the chart and then rate the usage of these services and products. We then used a flip chart to record the responses (Fig. 2). Using this chart, we explored the benefits and challenges of using these services as experienced by the participants. The main benefits of services frequently used included autonomy and time saving while major challenges to uptake and use were interference with family relations due to practices of secrecy and disclosure related to the personal identification number (PIN). The Productive Resources Control Chart (Fig. 3) aided us in discussing women micro-entrepreneurs’ control over productive resources and the influence of mobile money services on control and decision-making processes. 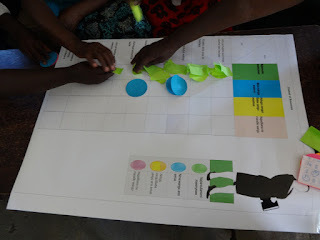 Participants were asked to place color-coded sticky notes or plasticine (modeling clay) next to the person who makes decisions about the acquisition, management, and use of various productive resources. Choices included self, husband, brother/father, and friend(s). After the exercise, we counted the sticky notes or plasticine mounds to determine who had the highest control of a particular resource, which we then discussed with participants. We also discussed how mobile money has influenced this control and explored gender dynamics in table banking group activities in this era of mobile money use. Interestingly, fathers and brothers no longer interfere with women’s control of productive resources, whether single or married. In addition, mobile money services have provided women with a discreet method of controlling finances. This being our first time to use such a technique in data collection, we did not know what to expect. Much as the idea of using objects in Focus Group Discussions excited us, and of course we were looking forward to it, we were alive to the possibility that our ability to communicate to the participants through these charts might not work as we hoped. However, our anxieties were immediately settled as soon as we began the first session and observed the respondents’ excitement. Discussions were lively, diverse, engaging and quite informative. This came as a surprise to us because we did not realize beforehand that visualizing mobile money services would trigger such diverse thoughts in the minds of the participants and therefore diverse conversations. One chairlady of a table banking group summed up her experience in the discussions, remarking, “na leo mmetuchangamsha kweli kweli! Tumejifunza mambo mengi leo!” (You have really excited us today! We have learnt many things today). Much as we intended to collect data for our research, we also ended up raising awareness about available mobile money services. Participants discussed some mobile money services depicted in the first chart that they never thought were meant for them. One lady pointed at the Pesa Point ATM booth image and remarked, “hii huwa naiona town kila wakati ni kienda lakini sijawahijua inaweza kunisaidia”! (I always see this one every time I’m in town but I have never known it can assist me). Such remarks opened our eyes to the role of such data collection techniques in educating participants on matters otherwise taken for granted, and in creating awareness about services and products. This experience was exciting and enriching for both researchers and respondents. 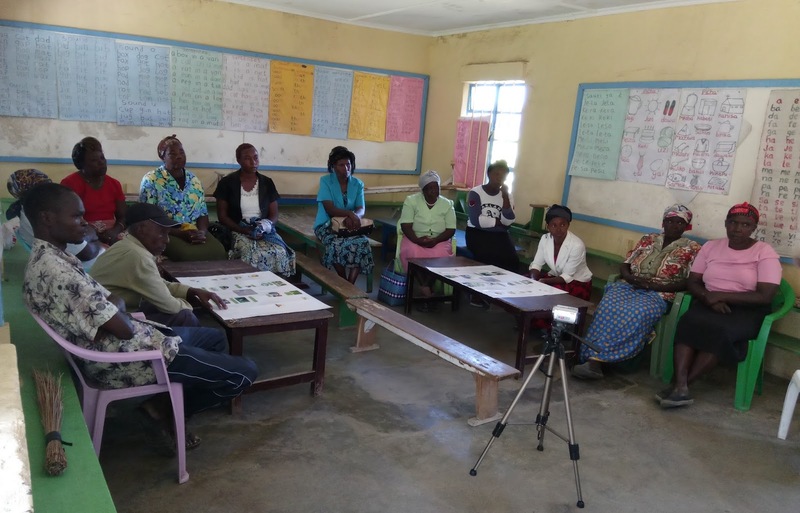 Within the context of the activities, it was easy for respondents to talk about their personal financial practices and provide information, which under normal circumstances might be difficult to share. For instance, one participant shared with participants about her secret business money saving practices. In order to avoid interference and misuse of business money, she “hides” it in an M-Shwari Deposit Account, a paperless micro-savings product (offered by Safaricom in partnership with Commercial Bank of Africa and operated through M-Pesa). She reasoned that it is easy for her husband to track her savings on her M-Pesa Account but not so easy with her M-Shwari Deposit Account. This way, she is able to control her business finances without interference. However, she has never used the M-Shwari micro-credit product. She finances her business activities through her table banking group and through other micro-finance institutions such as Small and Micro-Enterprise Program (SMEP). Almost all participants indicated they do not use the M-Shwari micro-credit product to finance business activities in spite of the favorable facility fee (compared with micro-finance institutions’ interest rates). Participants gave two major reasons for not utilizing this service. One, the amount of credit that can be accessed through M-Shwari depends on points earned through the usage of a M-Shwari Deposit Account, M-Pesa and other Safaricom services. These being the ‘base of the pyramid’ customers, earning points that would guarantee a sizeable amount of credit does not come easy. Much of the time, the amount of credit they can access through this service is too little for their business needs. Two, though the service providers have ensured that information on terms and conditions of use for the M-Shwari micro-credit product is in the public domain, participants reported lack of information about the product, making them apprehensive of the service. Many participants expressed a desire to understand how Safaricom calculates the points that determine the amount of credit they can access through the M-Shwari micro-credit product. All in all, our experience in using Object-Centered Focus Group Discussions taught us that this is an excellent way of collecting data on sensitive topics. However, researchers must be alert and sensitive to remarks coming from the participants, which can be probed to yield more information and reveal unexpected details. In addition, depending on the topic of discussion, researchers need to be careful not to be sidetracked by the excitement of participants as they discuss their own subjects triggered by the images and writings on the charts. If you would like to leave feedback about this blog post and the Consumer Finance Research Methods Toolkit, see here.